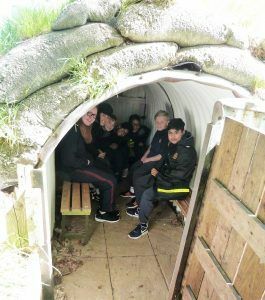 Highclare Junior School, in Sutton Coldfield, transported their Year 6 pupils back to the Second World War, as part of their history curriculum. 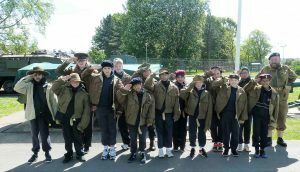 With the help of staff at Whittington Barracks, the home of the Staffordshire Regiment, they were able to immerse themselves in the sights and sounds of 1940’s Britain. 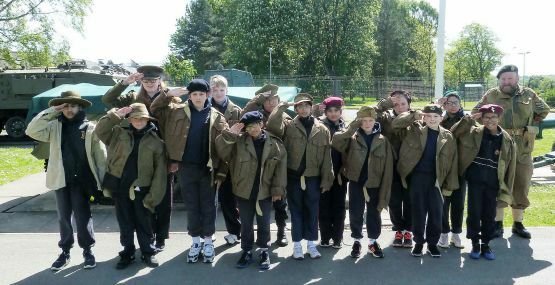 They were given the opportunity to see some of the weapons that were used and to experience some time in the trenches. Closer to home they were introduced to food rationing and then learned about the Blitz and the importance of evacuation, as well as sitting in an Anderson shelter anticipating an air-raid. At the end of a very enjoyable and unusual day, everyone made it home unscathed and all agreed they had had a wonderful time but felt they knew a lot more about those who had experienced life during World War ll.